Abarth ha divulgato il nuovo spot pubblicitario destinato principalmente alle reti televisive americane, avendo come protagoniste la Fiat 500 e la nuova Abarth 500. 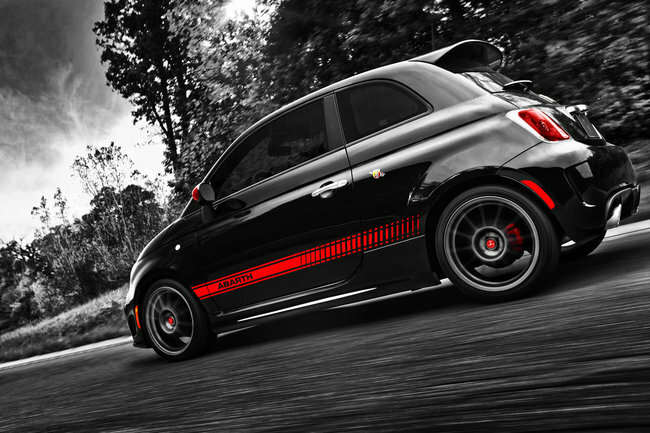 Nel video realizzato per promuovere la attesissima Abarth 500 si vede alla lettera come lo scorpione sappia pungere ancora, per poter comprendere realmente la filosofia Abarth non vi resta che guardare il video. I was about to make the same comment about the book. 1Lt. Treadway, you are a truly gifted writer. Great perspective and from the heart. Will definitely be watching for your name under Amazon authors in the coming years. Keep up the good work! Wow, so simple & nice! i have never tasted Cornichons & Bierwurst (or Jagdwurst) before. I don't know how they taste like. 🙁 I want to buy and do it!!! Alla,DziÄ™ki, Å›liczne piosenki a druga bajecznie nakrÄ™cona – ParyÅ¼ niesamowityMyslÄ™, Å¼e ona sobie popala z Sarko, to niesamowicie wyluzowana kobieta i chyba nie mozna jej niczego odmÃ³wiÄ‡.